Welcome to the European Vipassana Web site. 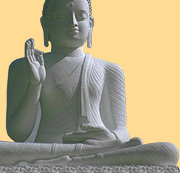 Here you can find information about Vipassana meditation in the tradition of the Ven. Mahasi Sayadaw of Burma (now Myanmar). Meditation Method: Vipassana meditation is in the tradition of the late Ven. Mahasi Sayadaw of Myanmar (Burma) as taught by his long standing disciples: the Ven. Sayadaw U Panditabhivamsa, the Ven. Sayadaw Kundalabhivamsa, Ven. Sayadaw U Janakabhivamsa and the late Ven. Sayadaw U Rewata Dhammabhivamsa. MAHASI.EU is a non-profit network of Vipassana meditators, retreat organizers, and independent meditation centers in Europe. The aim of MAHASI.EU is to provide information about Vipassana meditation and related Buddhist activities, primarily in Europe. There are still some pieces missing from this Web site but we hope you find it useful. You can help complete this web site and make it useful to others. Please see the "Contact Us" page and email us with additions or corrections to existing teachers and centers. As well, if you know of a teacher or group that can be included, please contact us as well.